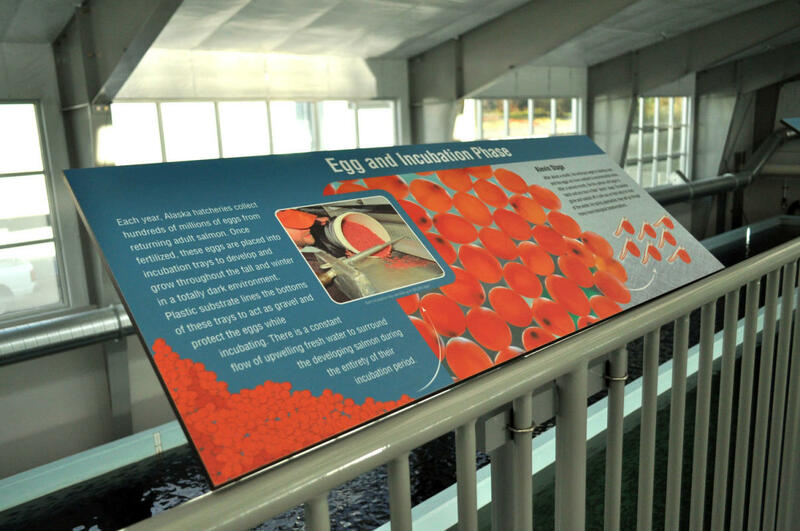 From mid July through Late August, witness the amazing site of millions of salmon returning to spawn. 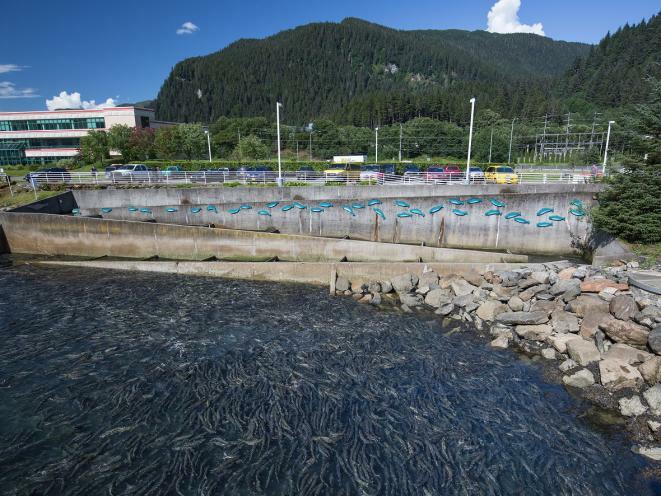 From mid July to Mid August, the chum (keta or dog) salmon are returning to the hatchery in full force. 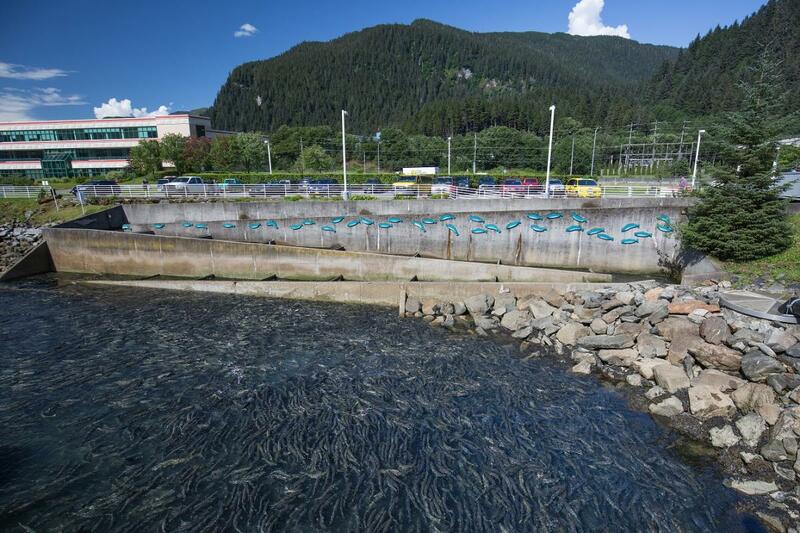 This sight is something you do not want to miss on your trip to Juneau! Great photo opportunities abound inside and outside our facility. 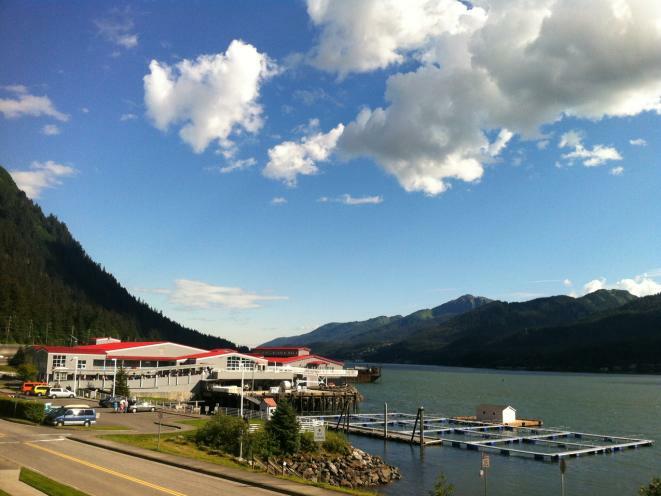 From our bronze bear statue at the entrance of the facility, to our glorious views of Gastineau Channel frequented by the wild American Bald Eagle, you'll be sure to go home with some keepers to show your friends and family. During our summer operation, we offer guided commentaries every half hour. If you'd rather not wait for a presentation, feel free to use our excellent signage to educate yourself at your own pace. 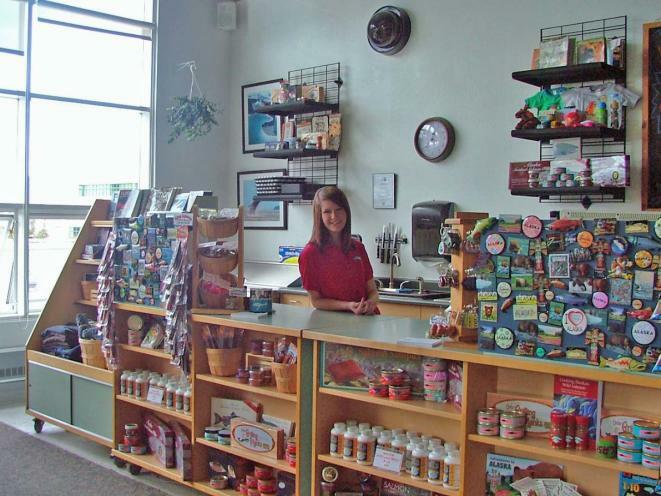 Looking for a trinket or to bring some salmon home to friends and family, our little shop has something fishy for everyone. As a non-profit organization, all gift shop sales go toward furthering salmon enhancement and salmon education. 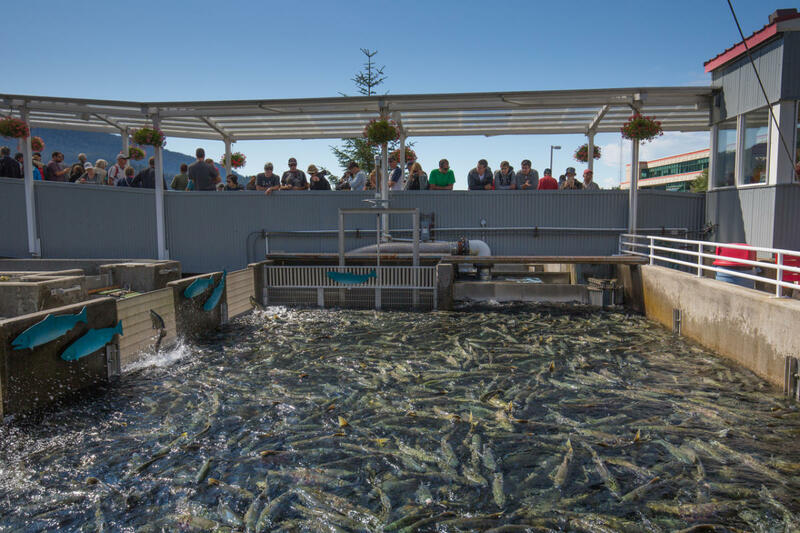 Get a birds-eye-view of hatchery operations and learn about the life cycle of pacific salmon during an informative commentary by an experienced local guide. 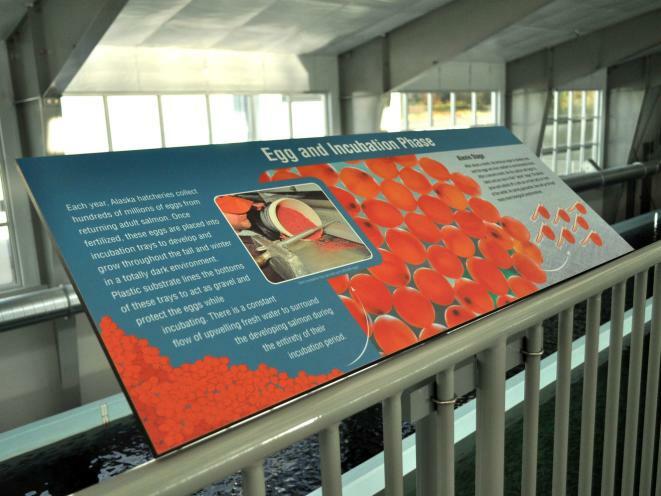 Watch millions of baby king and coho salmon grow from the sky bridge in the rearing facility all year. 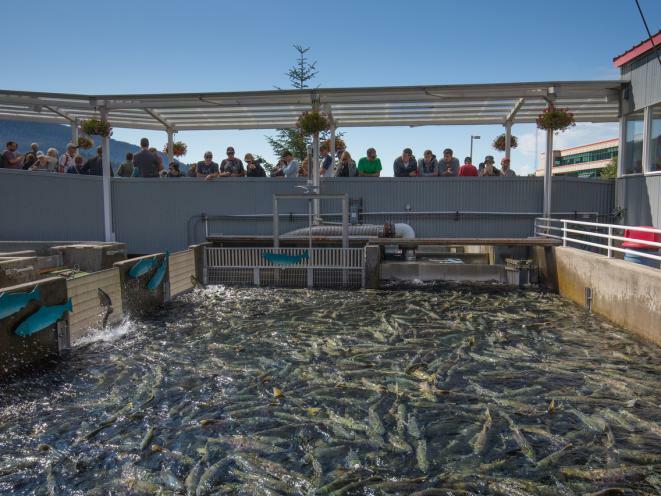 Witness the masses of adult salmon fighting their way up the fish ladder late June – September. 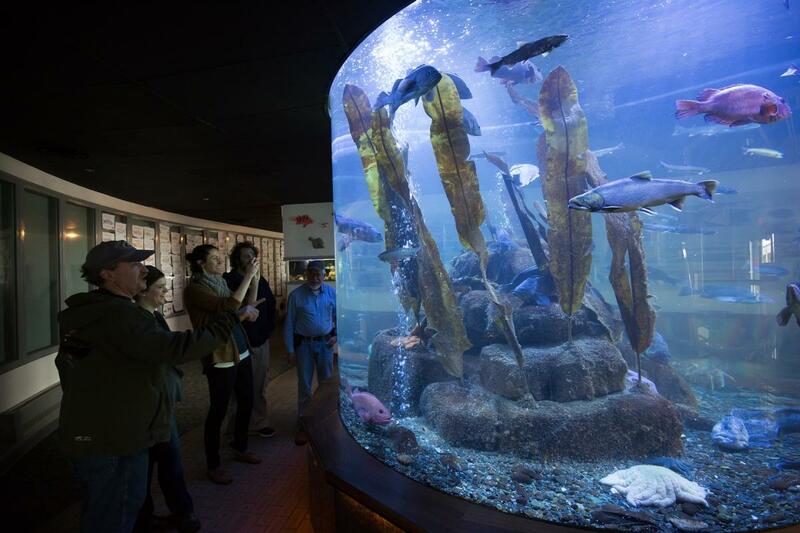 Explore our salt water aquariums displaying over 150 species of marine life. 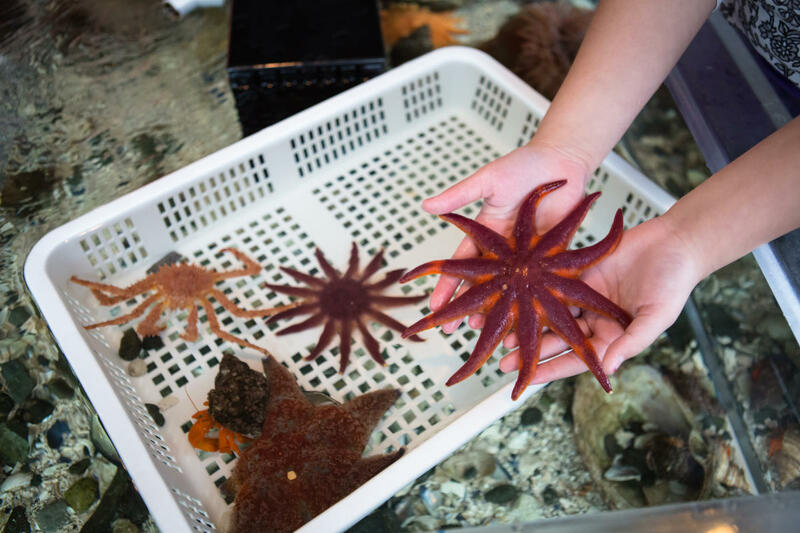 Interact with local sea critters in our tide pool touch tank area. 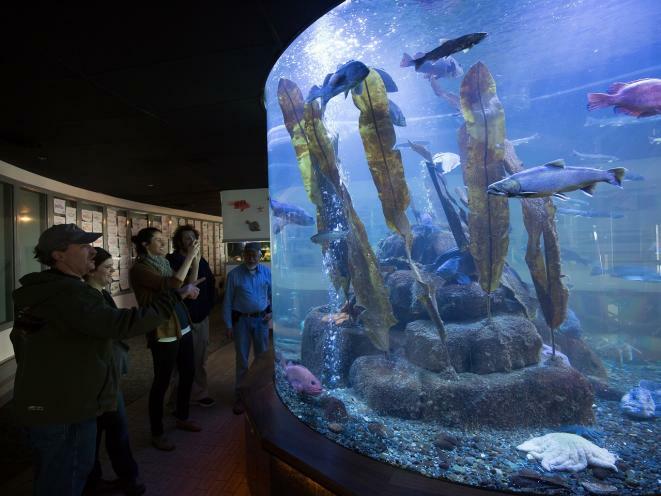 Find fishy themed (and flavored) mementos in our gift shop. Wow your taste buds by sampling a variety of smoked salmon products. Ship Wild Alaska Salmon products home year round. 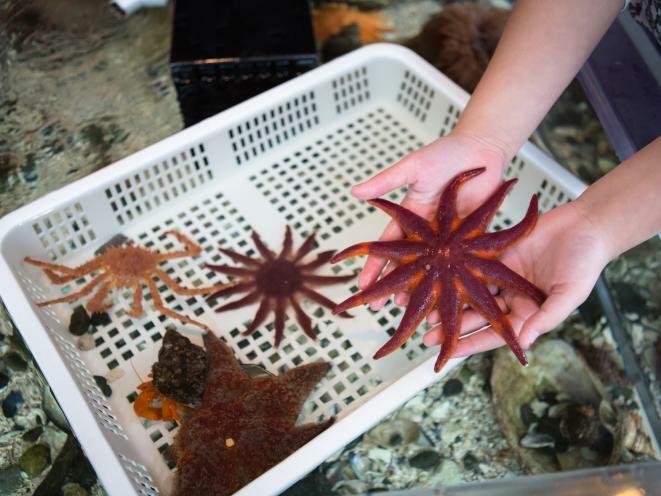 Douglas Island Pink and Chum, DIPAC, is a private non-profit organization. 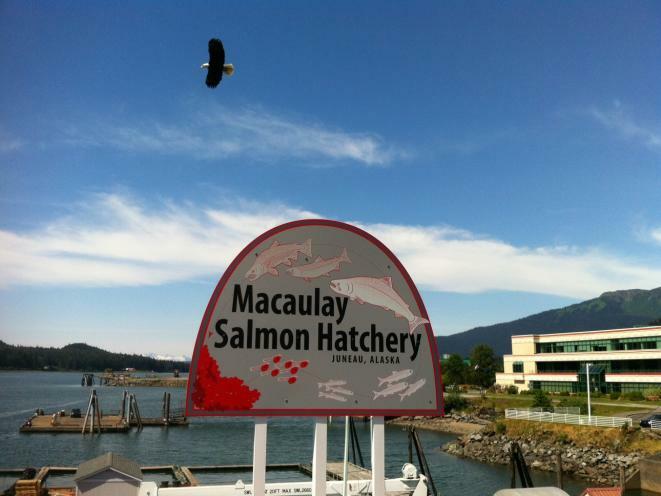 Therefore, all proceeds from the Macaulay Salmon Hatchery Visitor’s Center benefit salmon enhancement and educational programs.